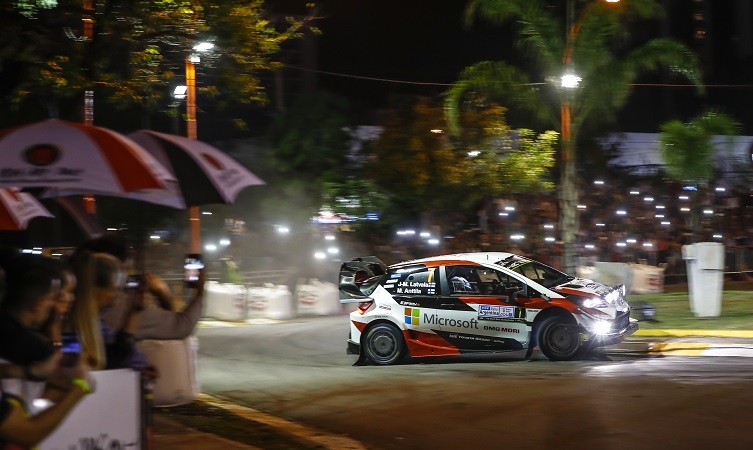 The fifth round of the 2018 World Rally Championship saw the Toyota Gazoo Racing WRC team return to Latin America, encouraged after a fine second-place finish on the asphalt of Corsica. 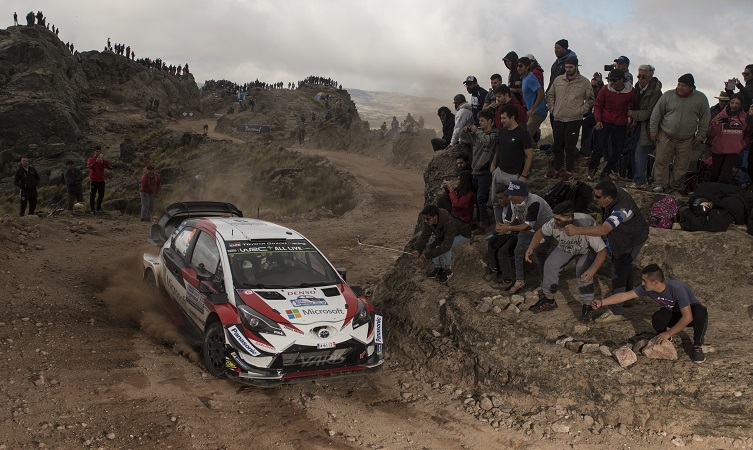 Rally Argentina may have provided a diverse gravel test, with everything from sandy valley roads to rocky mountain tracks, but we are delighted to report that the Yaris WRC was in conquering form. This is our review of the event in the form of quotes from key members of the team. 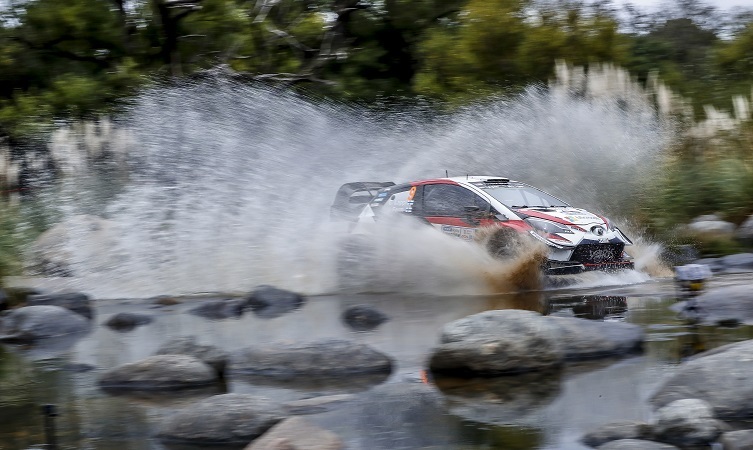 Review: Toyota Gazoo Racing World Rally Team made a good start on a 1.9km super special stage in the centre of Villa Carlos Paz. Tänak was second quickest and only 0.3 seconds away from the lead ahead of three full days of rallying. Lappi was sixth, and just a second slower, while Latvala was ninth fastest and sat within 1.6 seconds of the lead. Esapekka Lappi (driver car 9): “Shakedown was really good. I’m pleased with the car and how it is handling. Everything felt comfortable, it was fun. It was a bit rough and soft but that didn’t bother me too much. We could see that the ruts are forming quite quickly, so you need to keep the car in the ruts and then just try to avoid the rocks. With this approach, trying not to have any problems, I think a good result could be possible. Review: Tänak leads Rally Argentina by 22.7 seconds at the end of the first full day following an outstanding performance, winning five of the seven stages. 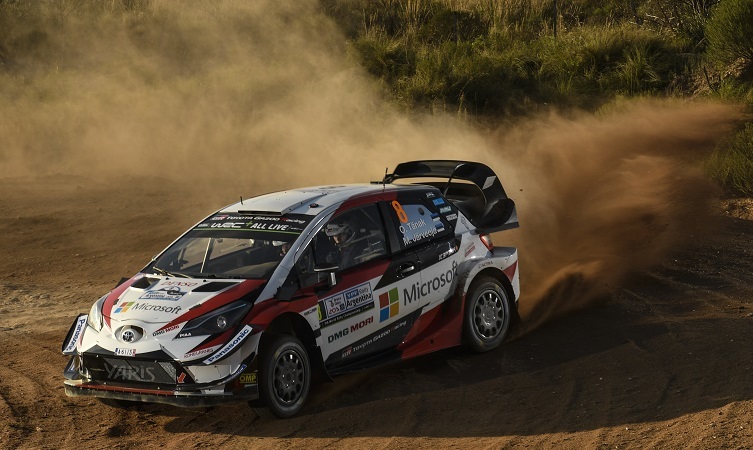 Lappi also showed good pace on his Argentina debut and ended the day in eighth place. Latvala was battling for the lead when he hit a hidden rock, forcing him to retire from the rally. Tommi Mäkkinen (team principal): “It has been an absolutely brilliant day from Ott. He lost some time on the first stage this morning with a spin in a narrow place but after that he was just driving brilliantly. He seems to be very happy with the car and I believe he is well in control of the situation. Review: Tänak will start the final day of Rally Argentina with a lead of 46.5 seconds after another exceptional day behind the wheel of the Yaris WRC. Similar to yesterday’s action, Tänak was fastest on five of the seven stages, more than doubling his advantage. Team-mate Lappi ended the day with a second-quickest time on the event’s longest stage to climb to sixth in the overall standings. Ott Tänak (driver car 8): “Everything has been working really well. I have a very good feeling with the car, and especially so on today’s roads, which were fast and flowing and suit it very well. I was not pushing as hard as yesterday, when I was really on the limit. Today there was maybe a bit more control, but still the times were clearly quite good. This morning we had some tricky conditions with really thick fog but we managed it well and this afternoon was very enjoyable. 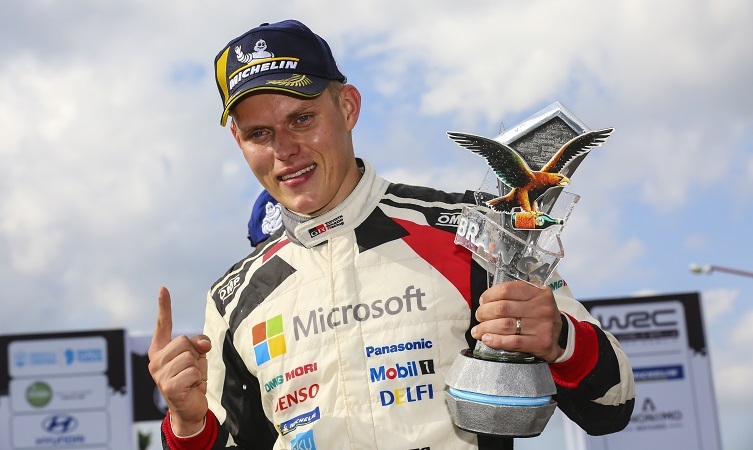 Review: Tänak secured a stunning victory on Rally Argentina: the Estonian’s first win with the team in only his fifth event in the Yaris WRC. Tänak and co-driver Järveoja were dominant after taking the lead on the first full day, winning ten stages across day two and three before controlling their lead over the notoriously tough stages of day four, finishing up 33.7 seconds clear of the competition. 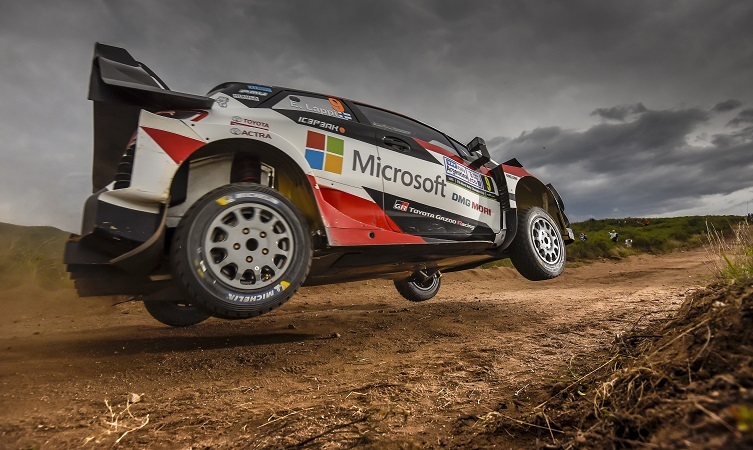 Akio Toyoda (team chairman): “I’m very pleased to receive news that Ott Tänak won Rally Argentina. Congratulations and thank you Ott for your first victory with Yaris! I also really appreciate all the fans supporting us. In last year’s Rally Argentina, our Yaris WRCs were thoroughly damaged by the rough roads. However, our team members learned a lot and improved the car, and finally they have got the Yaris back on the top of the podium. 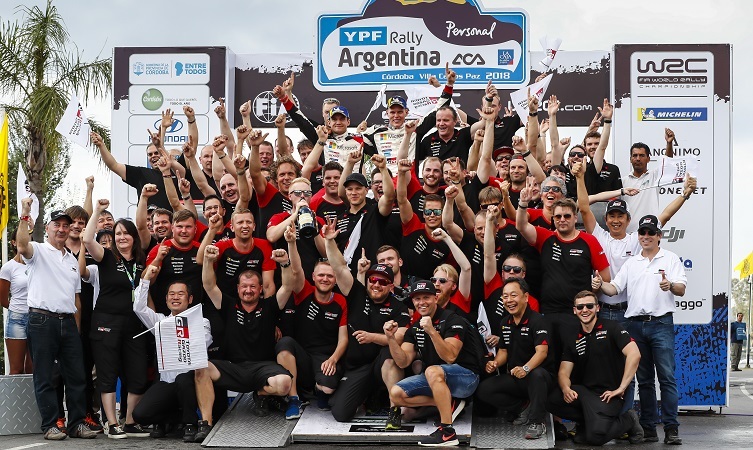 “Latvala, who unfortunately retired early in the weekend, had run as fast as Tanak before the trouble and left Argentina with a positive feeling. Lappi, who finished eighth overall, also insisted that he learned a lot from his first experience in Rally Argentina. I’m glad to see all the team members are growing and cars are being developed through fighting on the roads of the WRC. The sixth round of the 2018 World Rally Championship is the Rally de Portugal, which takes place on 17-20 May.